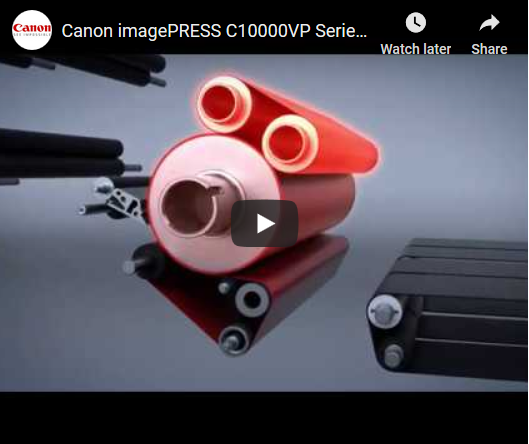 Canon imagePRESS C10000VP Series Color Digital Press Overview VIDEO | Industry Analysts, Inc. The Canon imagePRESS C10000VP Series features robust print speeds of up to 100 letter images per minute (imagePRESS C10000VP) and 80 letter images per minute (imagePRESS C8000VP), on all supported media weights up to 400 gsm. Delivering vibrant, stable output, high productivity and reliability, the Series is designed for demanding production environments at commercial printers, in-plants, transaction and direct mail service providers alike. This entry was posted in Canon and tagged C10000VP, canon, Commercial Print, digital press, imagePRESS, in-plant, print, production print by IA Staff. Bookmark the permalink.